Grown and milled in the United States, the line of recycled Ash Staybull Flooring® takes this lustrous wood to new heights. If you wish to install a hardwood floor over concrete, or if you just want to adds lightness to your modern or contemporary themed interior, upgrading to Ash hardwood flooring is a solid choice. With soft tans, hints of red, and distinctive grain patterns, an Ash floor made by recycled Staybull Flooring® will give any space the welcoming look you desire. 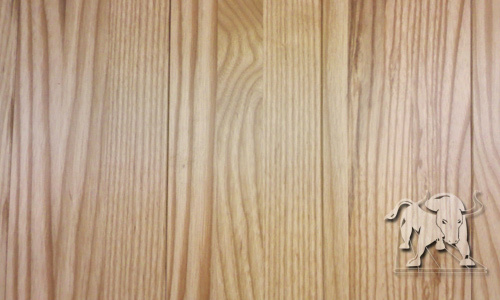 Get a free sample of eco-friendly Ash Staybull Flooring®. Cherry heartwood varies from rich red to tan-brown. The sapwood is nearly-white. It has a fine, straight grain with narrow brown pith flecks and small gum pockets. It has a smooth texture.